Assemble at Singapore Changi Airport and have a pleasant flight to the Land of the Rising Sun – Japan. Remark: Owakudani (The Great Boiling Valley) and Hakone Ropeway are completely closed off due to the risk of volcanic activities and subject to climate and weather conditions. It will be replaced by Lake Ashi Sightseeing Cruise. Shibazakura (Pink Moss) is subject to climate4 & weather conditions. Ishii Miso Brewery (Fermented Bean Paste) - Authentic experience and lesson on miso making by unique traditional and natural methods. Remark: Seasonal Fruit Picking is subject to weather and climate conditions. The above seasonal fruit picking list is a guideline only. It will be replaced by others activities if there is fruits available. Takayama Old Town – Beautifully preserved with many buildings and whole streets of houses dating from the Edo Period (1600-1868), especially the Sannomachi Street. Kanazawa Gold Leaf Store – Observe the production of gold leaf. Tateyama Kurobe Alpine Route – Known as the Roof of Japan. 6 types with an elevation change of 2400 meters. Remark: Snow Wall is subject to weather and climate conditions. 6 types of transportation may be suspended or delayed due to the weather or vehicle breakdown. During peak period, the boarding time may be changed. Karuizawa Shiroito Falls - Peaceful natural area featuring a small arc-shaped waterfall framed by mountain slopes. Karuizawa Prince Shopping Plaza – Is a huge, sprawling, very modern discount fashion outlet. Toyosu Fish Market – One of Tokyo's wholesale markets and also the largest fish markets in the world. Ashikaga Flower Park – Time limited event. Enjoy the breathtaking views of colourful Wisteria. Ushiku Daibutsu (Great Buddha) – On of the tallest bronze Buddhist statue (stand 120m) in Japan. Remark: Wisteria is subject to weather and climate conditions. Bid farewell to Japan, flight back to Singapore. 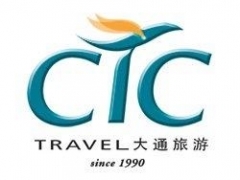 Thank you for choosing CTC Travel and we look forward to see you again.